She’s a perfect name for a daughter born at Christmas, and a popular pick year-round, too. Thanks to Natalie for suggesting her own appellation as our Baby Name of the Day. Natalie has been in the US Top 100 since 1976, and she’s ranked in the Top 1000 every year since 1880. Call her a modern staple, a name so solidly established in the twentieth century that she now feels nearly as classic as Caroline or Jane. She comes from the Latin phrase natale domini – sometimes translated as Christmas Day, but more literally as birth of the lord. The first famous bearer of the name was Natalia of Nicomedia. Around the year 300, her husband Adrian was a Roman soldier, dutifully torturing Christians. Impressed by their resilience, he converted to the faith himself, and joined his prisoners in martyrdom. His wife also converted, honored his memory and is considered a saint, too. There is some doubt about the historical accuracy of their tale. But I’m also puzzled by this: was Natalia in use as a given name for non-Christians? In 274, the Emperor Aurelian introduced the cult of Sol Invictus – a sun god. His feast was Natalis Invicti or Dies Natalis Sol Invicti, celebrated on December 25. This suggests Late Latin names Natalius and Natalia predate Christianity. Some tie Natalie to popular boys’ names Nathan and Nathaniel, Old Testament appellations popular since the Reformation. They come from the Hebrew for “he gave” and “god has given.” Strictly speaking, they’re unrelated, but they’ve all been Top 100 picks in recent decades. Natalia and Natalie endured a long hibernation in English, though they survived in Spanish and Slavic tongues. There’s a ninth century Natalia among the martyrs at Cordoba. 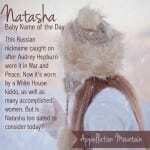 Leo Tolstoy gave the name Natalya, called Natasha, to a Russian countess in his masterwork War and Peace. Born Natalia Zacharenko, Natalie Wood became a child star in 1947’s Miracle on 34th Street. She grew up and, in 1955, starred with James Dean in Rebel Without a Cause. Suddenly, Natalie jumped from #446 to #354 in 1956 and #267 in 1957. 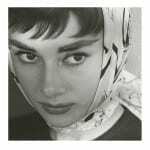 Hollywood boosted the name again with 1956’s film adaptation of War and Peace, with the luminous Audrey Hepburn playing the countess. Singers aplenty have worn the name. There’s Natalie Cole, daughter of the legendary Nat King Cole, plus The Dixie Chicks’ Natalie Maines; 10,000 Maniacs alum Natalie Merchant; and Australia’s Natalie Imbruglia. Jazz legend Nat King Cole, born Nathaniel, gave the name to his daughter in 1950, strengthening the tie between the two names, but not actually boosting use. Today’s parents grew up on The Facts of Life, featuring Mindy Cohn as Natalie Green, roomie and BFF to Blair, Jo, and Tootie. This takes us back to Hollywood, with the popularity of Oscar-winning actress Natalie Portman. She’s a three-syllable, ends-in-ie choicefor girls with deep roots without feeling fusty. She’s classic and current at once, a name that feels appropriate for a child and an adult. She’s a standout name that has gone mainstream. It’s easy to see why she’s so popular. Natalie’s pretty but rather like my Laura, she feels like she needs a short rest. I know a ton of Natalies around my 40 year mark. I also know a good handful of younger Natalies. I like Natalie but adore Natasha. The reason I only like Natalie is that her nickname options are so limited. Natasha has Tasha/Tash and Nastya (which sounds *much* prettier than she looks). I love options! But I wouldn’t cry if I met a newborn Natalie, I’d probably think “wow, not horrible!” 😀 Natalie’s definitely got a little sparkle left. When I was a kid in the 70s I planned to have 2 daughters and name them Natalie & Melissa, both of which I still think are beautiful, but dated. I loved Natalie Wood in Miracle on 34th Street growing up, however, it made me love the name Susan — not Natalie. I found out not too long ago that Dame Maggie Smith’s full name is Margaret Natalie, which surprised me. 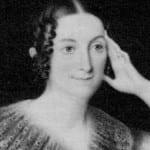 Her mother was Margaret and her father was Nathaniel (“Nat and Meg”), so perhaps that explains her two names. Natalie is the husband’s very favorite name for another girl. I like the name, but I’ve known so many of them, including a rather odd roommate my first semester of college. It’s a pretty, sensible name for a girl. It’s just one I feel has lost its sparkle a bit. I’m probably more likely to use Blair than Natalie. There’s something about that nat sound I don’t like. Natalia seems a softer choice.